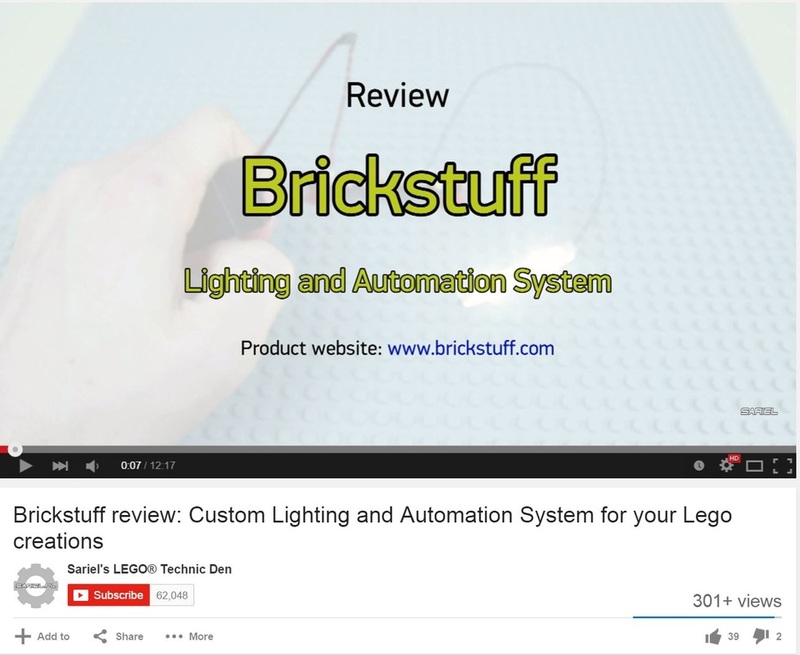 Reviews - Brickstuff-- Small Lights for Big Ideas! It's a fair question. 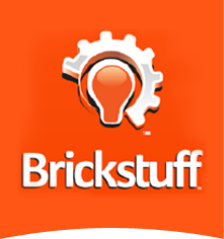 After all, our products aren't the lowest-cost on the market, so what are you really getting when you buy a Brickstuff product? 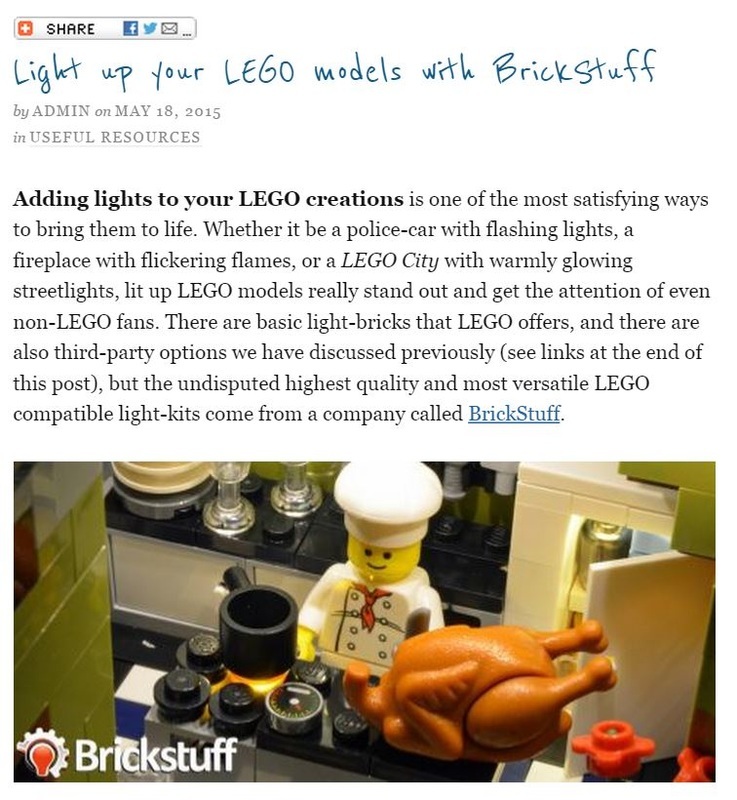 We could give you our opinion, but you'd probably think we were biased, so take a look at what others in the LEGO® community are saying about us. 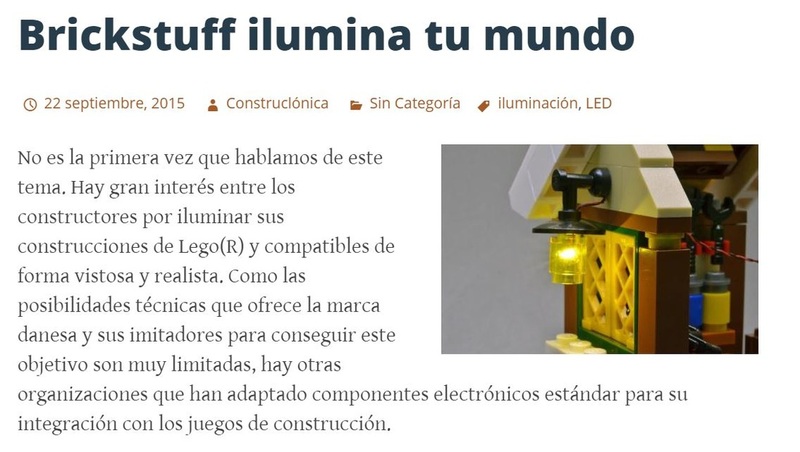 The team over at Construclónica (a Spanish-language blog about building with LEGO® compatible components) published a review of our lighting system on September 22, 2015, saying you can achieve "spectacular" results with our lights. Check it out here. 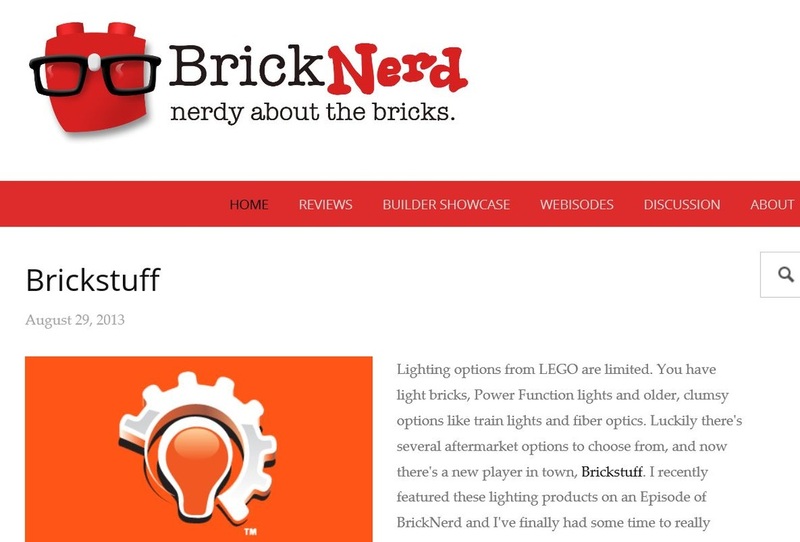 The folks over at theBrickBlogger.com put our products through their paces and called our products "top of the line," saying "there is really no comparison as far as quality and versatility." Check out their review here. One of the most thorough reviews of our product line comes from Pawel "Sariel" Kmiec over at Sariel's LEGO Technic Den. Paul is the author of Incredible LEGO Technic: Cars, Trucks, Robots & More!, one of the best collections of Technic building from around the world. Paul put our lights through their paces, even getting some assistance from one of his famous hamsters! 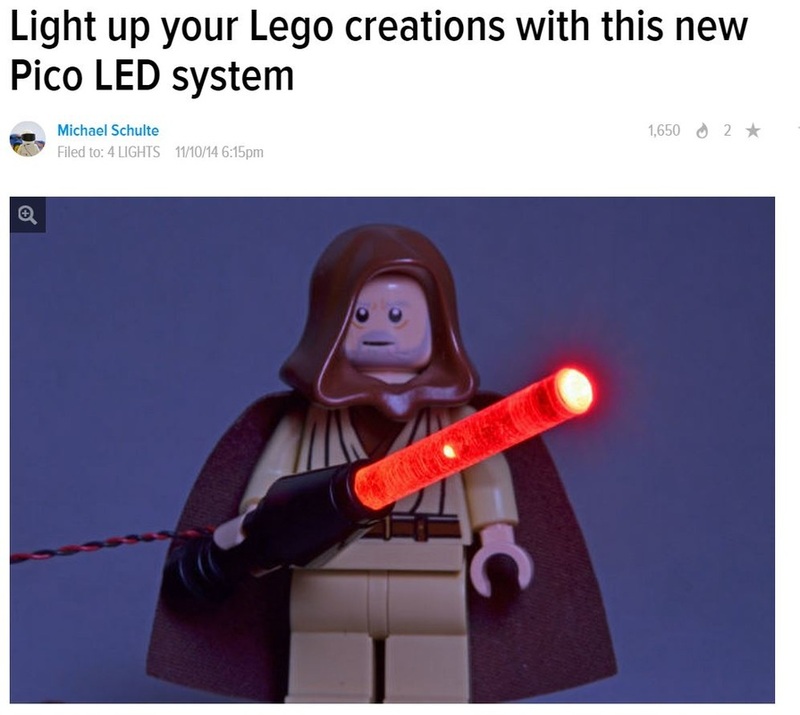 Gizmodo.com's LEGO Blog, LEG GODT, published a review of our Pico LED Light Boards that also has links to several videos showing the lights in action. A well-known Russian LEGO blogger published two reviews of our products-- the text is in Russian, but you can use Google Translate to convert them into your preferred language. Tommy Williamson over at bricknerd.com did a very thorough review of our lights (both the Micro Light Boards and the Light Strips) and Lighting Effect Controller, and used the products to light up the Palace Cinema. He also posted a fantastic video of how he got everything mounted and working. In the end, he gave us a 5-out-of-5 Nerdlys rating! Click on the image of his website (at right) to check out the review. Eric over at A Lego a Day published one of our first reviews. He really put our products through their paces, working them into his LEGO Jabba's Palace. The results turned out really great, and Eric put a lot of work into the review and photos that accompany it. Click on the image (at right) to read Eric's review.